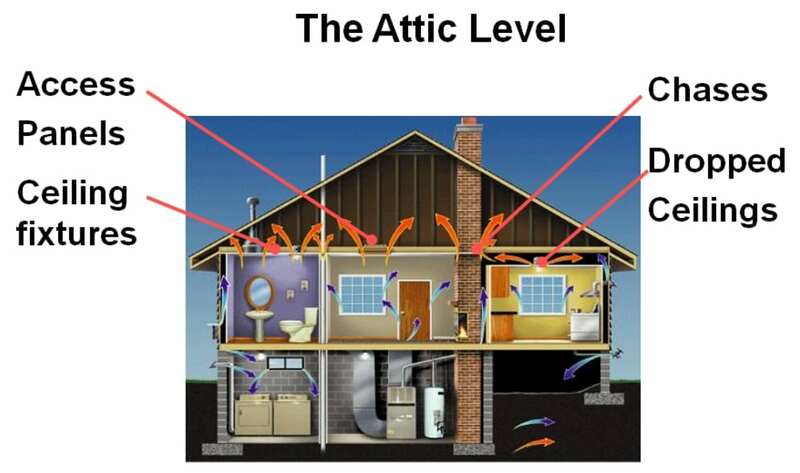 What consumers want is a budget friendly way to air seal there attic to stop the energy robbing “Stack Effect” while beafing up their insulation. There are different approaches used for difference needs for your attic space. Scenario 2: I want to save $ now but I want to keep the option open for finishing it, maybe even the next homebuyer will want to. 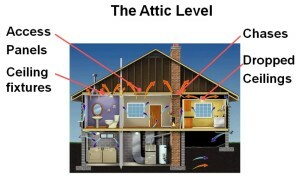 Scenario 3: I want to turn my attic into conditioned finished space and need an affordable way to insulate the roof. 2.0″ board performing at R-13 rigid. 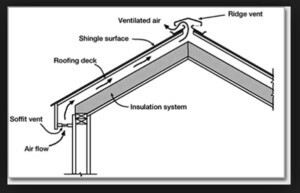 Installing these in your attic and sealing your attic off gives you the Energy Star recommended attic air seal performance while also providing 2 radiant barriers, front and back, to stop UV light. 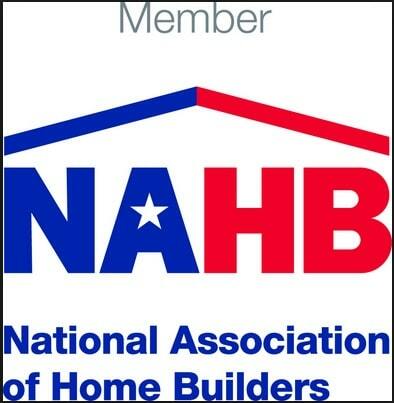 This along with great R-Value per inch and its air sealing quality brings homeowners great insulating value that pays for itself QUICKLY! That amounts to about 7 1/2 in. of XPS foam or about 6 in. of polyisofoam, or you could use about 12 inches of fiberglass batts. 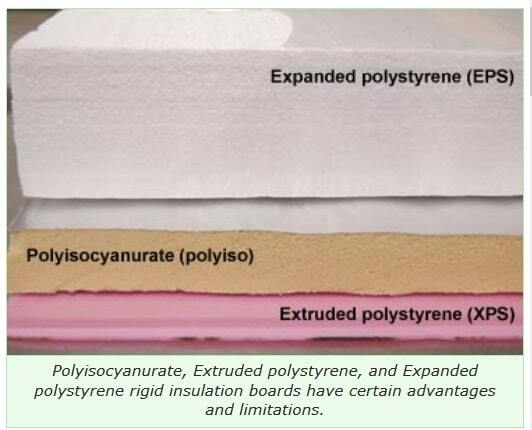 Polyisocyanurate (polyiso for short) foam has the highest R-value per inch (R-6.5 to R-6.8) of any rigid insulation. This type of rigid foam usually comes with a reflective foil facing on both sides, so it can also serve as a radiant barrier in some applications. 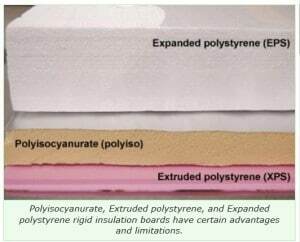 Polyiso board is more expensive than other types of rigid foam. 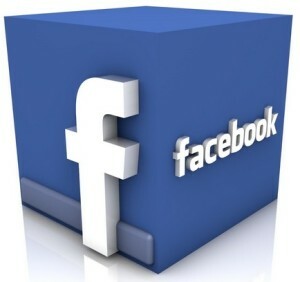 Extruded polystyrene (XPS) rigid foam is usually blue or pink in color, with a smooth plastic surface. XPS panels typically aren’t faced with other material. The R-value is about 5 per in. This type of rigid foam won’t absorb water like polyiso and is stronger and more durable than expanded polystyrene, so it’s probably the most versatile type of rigid foam. 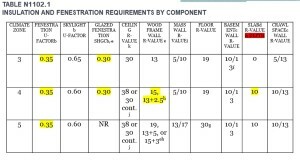 XPS falls between polyiso and expanded polystyrene in price. 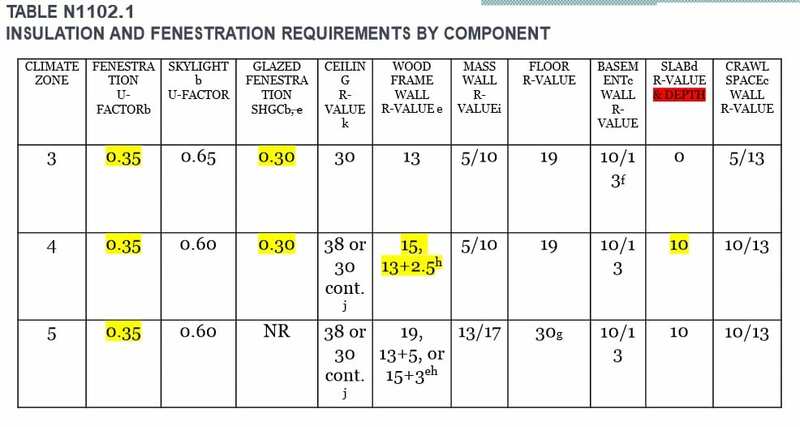 Expanded polystyrene (EPS) is the least-expensive type of rigid foam and has the lowest R-value (around R-3.8 per in.). It’s also more easily damaged than the other types of rigid foam.